Cannot wait for the next season! Look nothing short of spectacular. Looking forward to this! Foxtel will broadcast season six of the worldwide TV phenomenon Game of Thrones at the same time as the US east coast, in a global simulcast spanning 170 countries. At 11am on Monday, April 25, showcase subscribers can watch the Emmy® Award-winning drama’s all-new season of duplicity and treachery, nobility and honour, conquest and triumph – only on Foxtel. Alfie Allen who plays Theon Greyjoy is on The Project tonight. Would be funny if he’s interviewed in character. 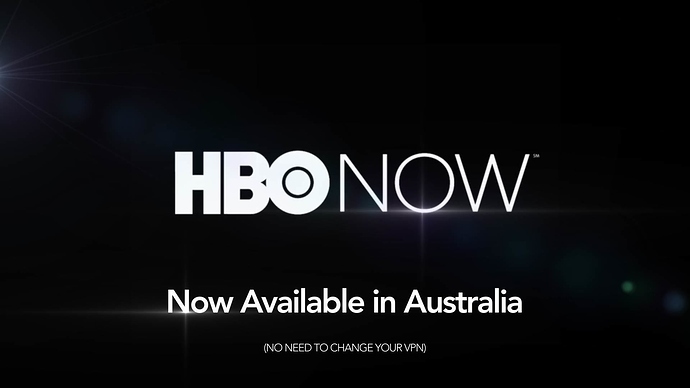 I wish HBO NOW was available here. Why? Everything is being shown on Foxtel Showcase practically live. Wouldn’t HBO NOW be cheaper at $14.99 a mouth, with an easier setup? Foxtel announced today it will again simulcast the new season of Game of Thrones for Australian audiences so they can watch each episode at the same time as the US broadcast. Game of Thrones Season 6 will exclusively premiere on Foxtel’s showcase channel** Mondays from April 25 at 11.00am**, same time as the US with an encore at 7.30pm Monday nights. Each episode will be available to stream directly following the first Monday morning broadcast on Foxtel’s Anytime service available to Foxtel iQ and Foxtel Play subscribers, and to watch on Foxtel Go. Join the hosts of Thronecast in the studio as they count down their favourite moments from five brilliant seasons of Game of Thrones. Revisit the key events of each season with analysis and insight from writers and stars of the show. The Story So Far is a viewer’s guide to explain the intrigues and power struggles at work in the sprawling lands of Westeros. Want to catch up on every episode ever of Game of Thrones before the new season? Watch on Foxtel iQ, Foxtel Play or Foxtel Go on the Boxsets channel or stream on Anytime, anywhere on your device. If you want a closer look at Game Of Thrones, look no further than the official fan show Thronecast, hosted by Jamie East and comedian Rachel Parris. Accompanying every episode of Game of Thrones, Thronecast features exclusive interviews with the cast, insights into the world of Westeros and beyond, and previews of what’s in store. Ive been watching repeats from my dvd collection so i am familiar when the new season stars, nothing on tv at the moment so its been easy to binge watch at night. HBO, Facebook and Oculus have collaborated with the team behind the Game of Thrones opening sequence to create a 360 VR version, complete with moving models of the Wall and the various cities. Showrunners David Benioff and Dan Weiss also revealed that US President Barack Obama is a big fan, and has requested advanced copies of the drama. Saw this on Facebook today. Its brilliant. Only two days after Entertainment Tonight showed the interview. Just ahead of the sixth season commencing, Game of Thrones renewed for season seven.